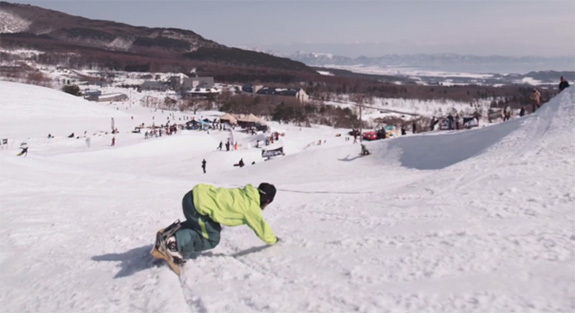 Bowl events are on the rise, there’s no doubt about that, and Japanese shredders have undoubtedly been the creators and innovators of this new style of boarding. The goal is simply to have as much fun as possible, for everyone, and the creative possibilities are endless when carving and slashing. Watch the Gentemstick crew, and take notes on the art of turning.